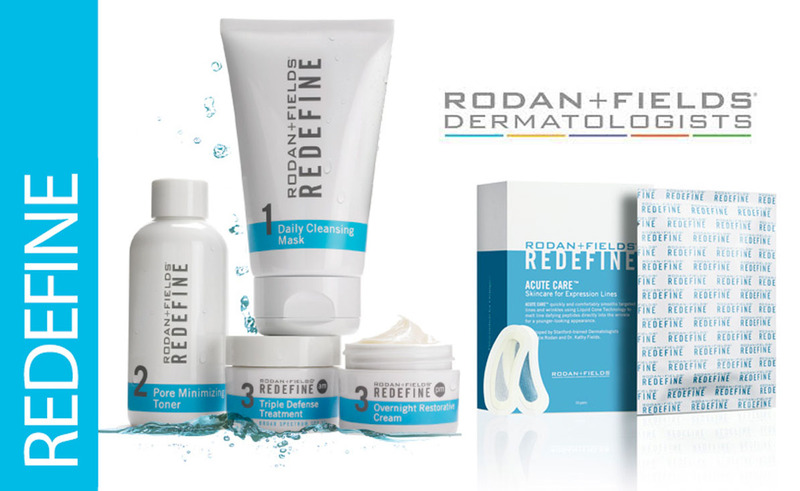 The REDEFINE Regimen features four full-size products: Daily Cleansing Mask 125 mL/4.2 Fl.Oz., Pore Minimizing Toner 125 mL/4.2 Fl.Oz., Triple Defense Treatment SPF 30 30 mL/1.0 Fl.Oz., and Overnight Restorative Cream 30 mL/1.0 Fl.Oz. Creamy, kaolin clay-based cleansing mask dries in two minutes, drawing impurities from pores without robbing skin of essential moisture. 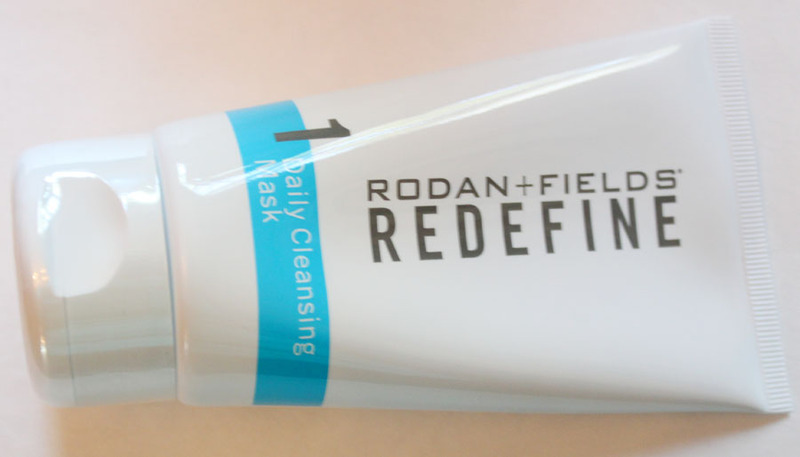 Fine dimethicone microbeads gently exfoliate to smooth the skin without disrupting skin’s delicate moisture barrier. Of all the products in this set I liked the Mask the most. This isn't a cleanser so if you get the system be aware of that. It is a quick mask applied after cleansing and left to sit for two minutes. The mask exfoliates and rids your pores from junk and makes your skin beautifully smooth. The result is like getting the effects of a weekly skin mask daily. Exclusive combination of pore-clarifying ingredients minimizes the appearance of enlarged pores in this fast-acting, alcohol-free liquid vehicle. Gentle polyhydroxy acids exfoliate pore clogging dead skin cells while natural oligosaccharides help reduce the appearance of pores and prepares skin for the treatments that follow. The Toner is alcohol free and also comtains polyhyroxy acid to exfoliate. I normally use a diluted apple cider vinegar as my toner and have done so for years. I liked this as an alternate for it not only tones the skin but also attacks those pores in the process. 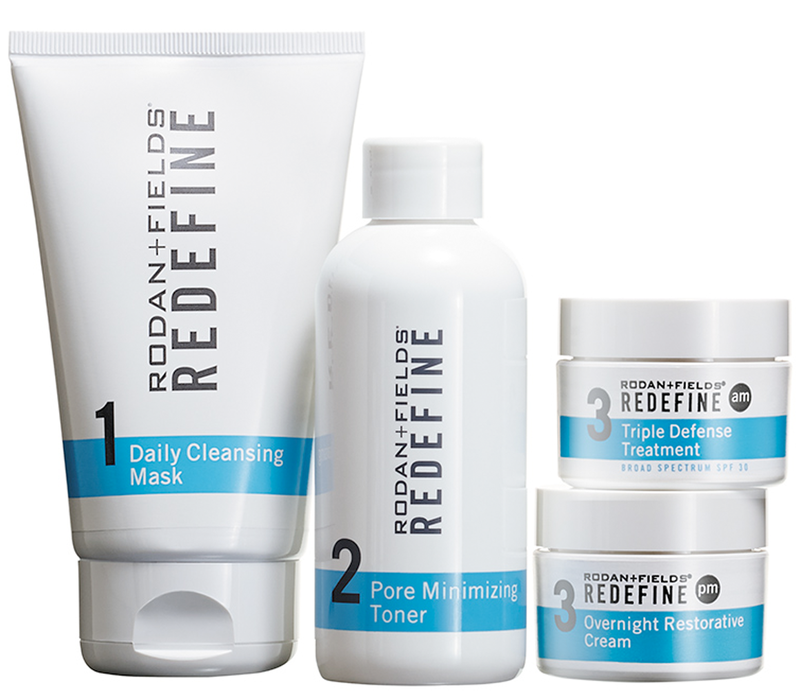 That's what I like about all of the REDEFINE line, it targets multiple skin issues with each product. The toner is also gentle enough on the skin to use as a mid-day refresher or before makeup. 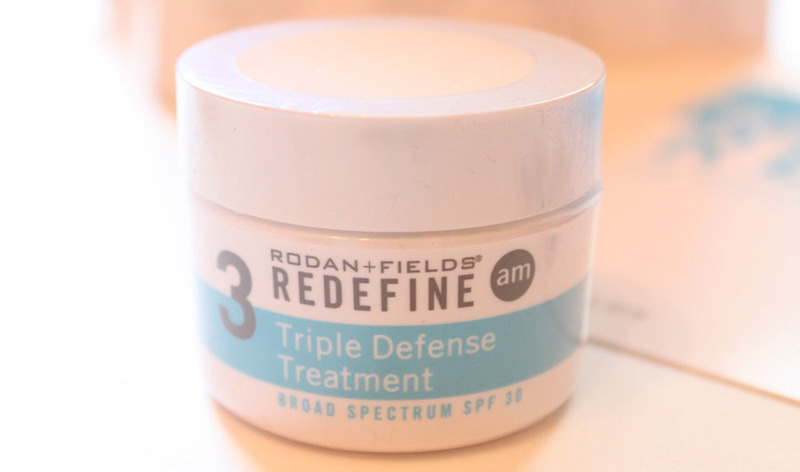 REDEFINE Triple Defense Treatment is a moisturizing treatment with photostable broad spectrum SPF 30 protection. It contains a clinically proven concentration of powerful peptides to reduce the appearance of lines and wrinkles and visibly firm skin. SHIELDrf provides effective broad spectrum UVA/UVB protection and visibly decelerates the signs of photoaging that appear over time. The Triple SPF 30 I've been using as my daily sunscreen. It has a light fresh scent and sinks right in with out any residue or white cast. I also really like the fact that is is working on anti-aging while providing sun protection. REDEFINE Overnight Restorative Cream is an ultra-hydrating cream which replenishes skin’s natural moisturizing factors (NMFs) while you sleep for visibly firmer, less-lined skin in the morning. Moisture recycling complex of hyaluronic acid and glycerin prevent moisture loss while 12-hour, time-released antioxidants A, C and E replenish vital skin nutrients. Restorative Cream is a very intense moisturizer. I had to nix it as my night cream after a couple days because it was just too emollient for my combination skin. If you have dry skin this would help out tremendously, it is one serious anti-aging moisturizer. Find your expression. 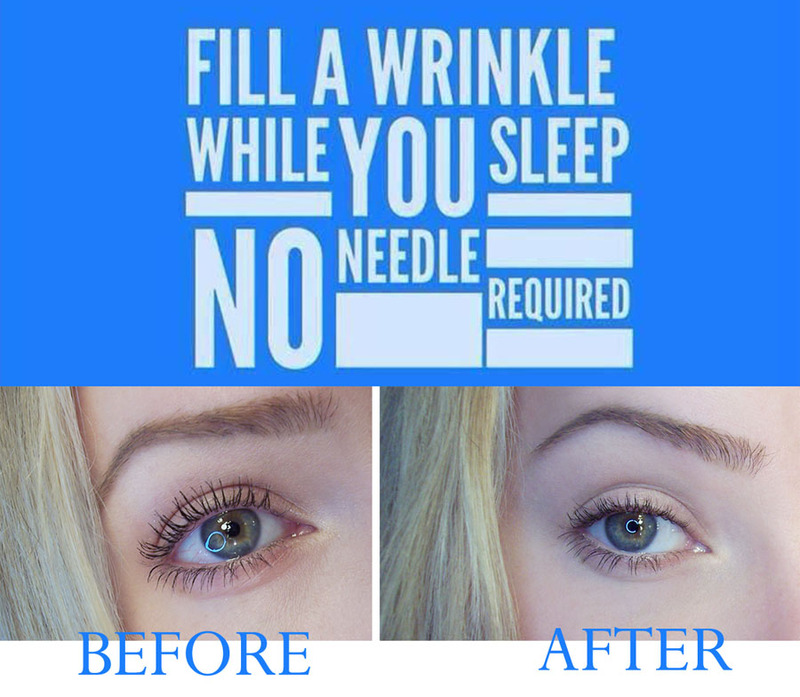 Lose the wrinkle. REDEFINE ACUTE CARETM smooths expression lines with proprietary Liquid Cone Technology that melts line-defying peptides and hyaluronic acid directly into the wrinkle for a more youthful appearance. 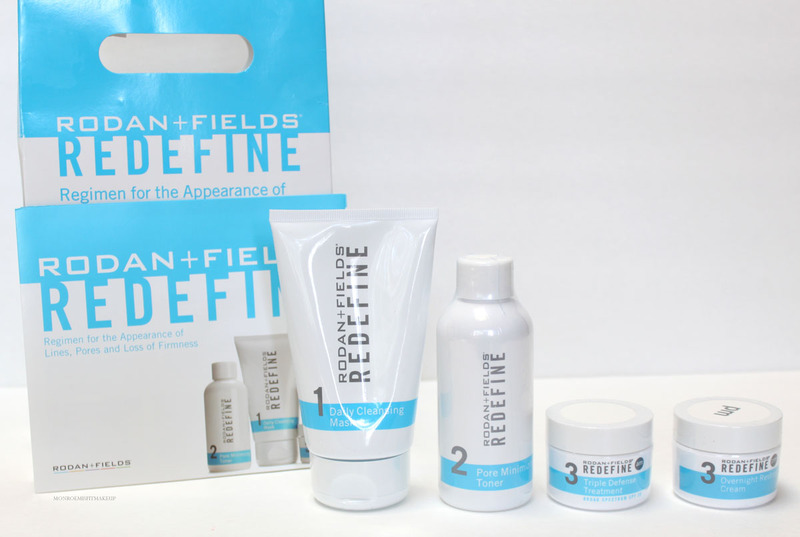 You can experience long-lasting results after ten applications, and you may even see results after the very first use. It’s so simple, you can do it in your sleep. 10 pairs. Recently made available as a standalone item, these are small gel patches soaked in serum that you place on to your wrinkles and expression lines. The patches are applied to where you want to target the wrinkles and then go to sleep. Yes sleep. I found this part difficult because they're a little weird feeling and with a prickly sensation at first, but after you get used to the feeling of them on the patches aren't bothersome. With the Acute Patches you apply them every 3 days for one month. Our eyes are some of the first places to show signs of aging and I wanted to put these to test on some fine under eye lines. There isn't a huge difference in photos but I can tell the difference. My skin felt more plumped and hydrated under the eyes especially at the bridges where it tends to get a little crepey. My concealer also went on smoother and didn't settle in to them as much. Prominent wrinkles will likely show a much more dramatic result similar to botox. Still I like to take preemptive action. I'm pretty excited about these and plan to keep using them weekly to work on my eye area. Only downside these little miracle workers aren't cheap at $220 a box. After experiencing these products from Rodan + Fields I can see myself trying more from this skincare line. 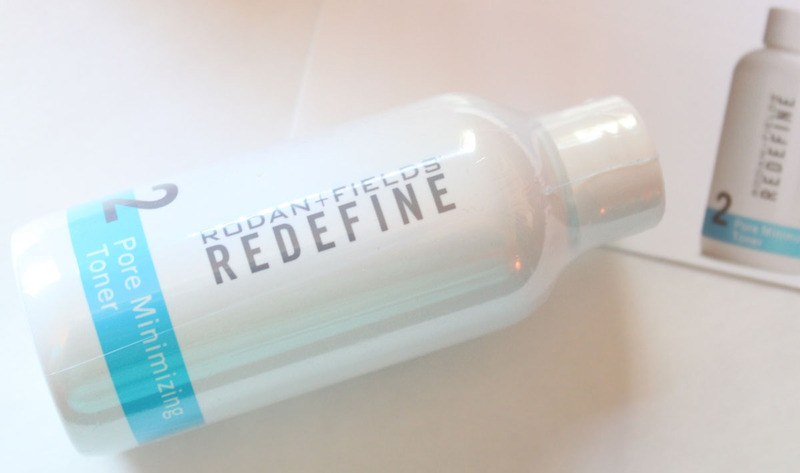 REDEFINE was a little too advanced of an Anti-aging regime for what my skin requires right now, but it would be an excellent regimen for those who want wrinkle reversal, hydration, and firmness. Rodan + Fields also offers other targeted skincare such as Reverse, Soothe, and Unblemish so you can find the specific regimen that is right for you.